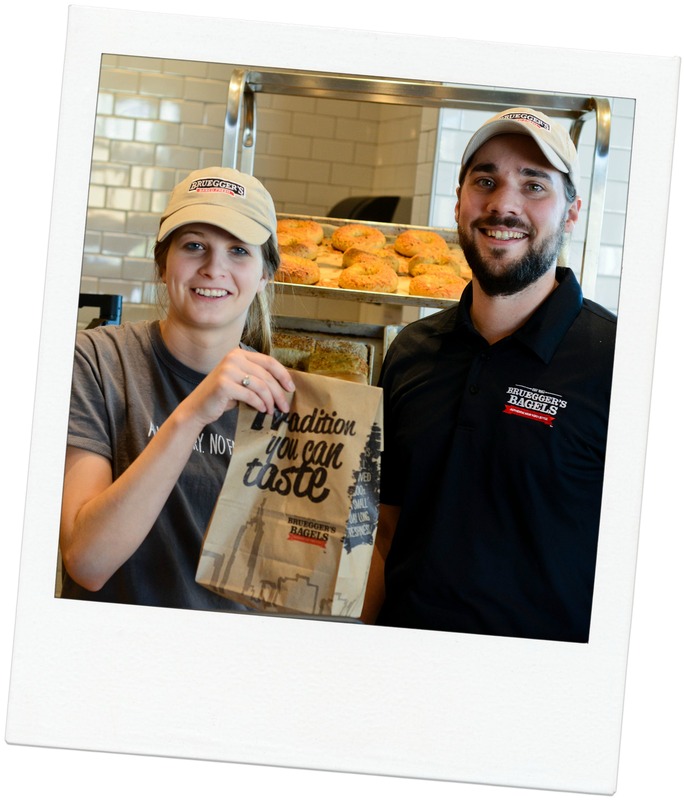 Since 1983, Bruegger’s Bagels has followed the time-honored, traditional methods that had made New York famous for bagels. First, we kettle-cook the bagels then bake them to perfection in a real stone hearth oven. Pair one of our fresh-baked New York-style bagels with our real made-in-Vermont cream cheese, and you have the ultimate BFFs. With over 260 bakeries across the nation, we have immediate job openings for enthusiastic individuals just like you! We offer a grease-free, no alcohol, no late night environment. Bring us your outstanding guest service skills and we’ll provide the training you need to make and sell the best bagels! Restaurant/retail experience not required, but it is preferred. Complete an online job application. Search for your nearest locations or select from the list below. Are you acquainted with anyone employed by our company? Please check here to acknowledge that you are applying for employment at a bakery owned and operated by a Bruegger’s Bagels franchisee, not Bruegger’s Enterprises, Inc. or any of its affiliates. Any information provided in this application will be transmitted to the franchisee for their review and consideration. If hired, the franchisee will be your only employer. Franchisees set their own compensation and benefits that can vary among franchisees. Interested in a career at our Corporate Offices in Denver or Minneapolis? Check out our Coffee & Bagel Brands Career Site and select Business/Mgmt. from the Job Type dropdown on our Interactive Jobs Map search bar!